A collection of simple, catchy songs to appeal to pre-schoolers. From simple praise to hilarious ways of learning God's truth. Complete with all backing tracks on the same album. Music for all these songs can be found in the Kids Praise Songbook. Ideal for Sunday school and creche. 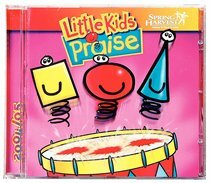 About "Little Kids Praise 2004"